Every time I leave home I worry about a multitude of things. If I’m gone for say, a vacation, I worry about the house looking empty to potential thieves. If I’m gone for the day, I wonder about the cat, the temperature and whether or not I left the porch light on, or worse, that I turned it off and won’t be home till after dark. There are probably some things I should look into in order to control my anxiety, but I think I’ll just get an Insteon Hub. The Insteon Hub allows you to check on, and control your home (from almost anywhere) right from your handy smartphone. 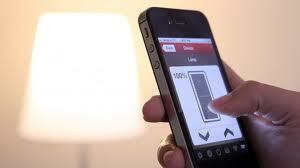 So simple, you can install it yourself, Insteon offers a super convenient, and affordable home automation system. Beginning with the Insteon Hub, you can connect to your home from anywhere in the world using your smartphone or tablet. Insteon gives you control of LED bulbs, wall switches and dimmers, thermostats and cameras, and Insteon also offers sensors that actually lets your house text or email you messages, like when a water leak is detected, motion is sensed, or doors and windows are opened. So maybe you would like to turn on your bedside lamp automatically to help wake you up in the morning? or get the heat going before getting going on a frosty morning, maybe you just like to keep tabs on your kids, or pets or have some added security when you’re on vacation. The Insteon Hub may be for you. Insteon solutions have no activation fees, or monthly charges connected to their service, so simply choose the components that work for you, and sit back and relax. Starter kits are available from bestbuy.com and add on’s like LED bulbs, outlets or appliance modules seem to start at around 30 bucks. Maybe now I can stop obsessing? Nah.